There are a great deal of relics to be found in Red Hook, including me when I am there, as well as rusting streetcars, waterfront bars, grain terminals and warehouses, and pictured here, classic metalworked wall lamps. 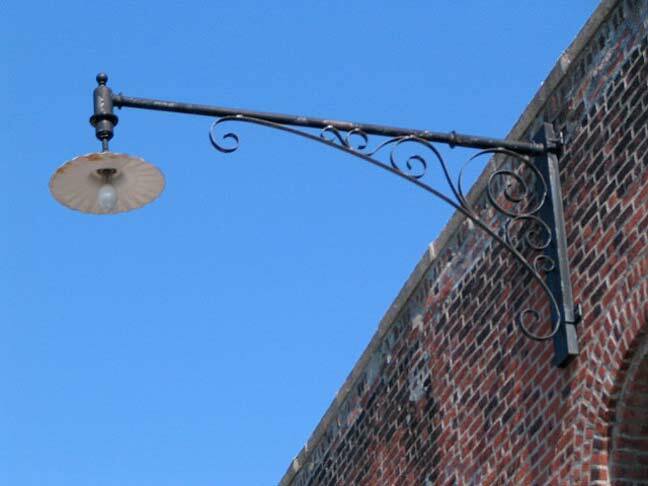 These examples, which can be found on the Beard Street Warehouse as well as some of the buildings on nearby Pier 41, are lovingly detailed replicas of wall lamps that were formerly found in heavily urbanized areas where there was little room for a proper lamppost when the sidewalks were too narrow. These lamps carried many different luminaires, from bare bulbs to radial wave lights (seen here) to “cuplight”, “acorn” or “bell” teardrop lights, up to the modern sodium lights popular since the 1980s. They may eventually support bright white LED lights. Radial waves were so called because their metal diffusers”radiated” in a circle from the central incandescent bulb, and they were “wavy,” not flat. 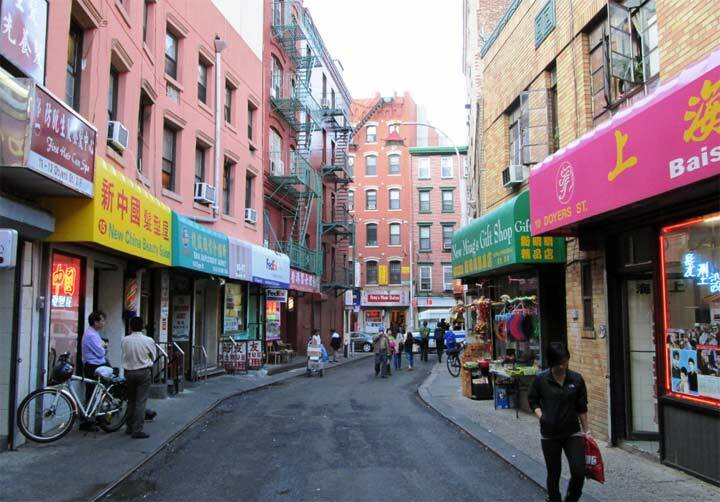 So-called radial waves used to be standard issue on side streets and in outer boroughs away from urban centers and most survived into the 1940s. By the time I came along in the 1960s they were rather rare. Today all the older examples are gone, but new installations like these have appeared in Red Hook. A rusty radial wave — mounted on an old wooden telephone pole — kept the darkness at bay outside my childhood home in Bergen Beach, Brooklyn well into the 1950s. And as recently as ten years ago, I spotted a still-functioning radial wave lighting up an alleyway on the outskirts of Verona, Italy. There is a similar model of radial wave used for ambient light at the new York Dog House in Astoria. A fond memory I have is of the radial wave streetlights that illuminated the street in front of my grandmother’s house in Washington, PA in the 1960’s (I was just a little tyke then). Those examples were mounted to very simple, unadorned, arms attached to the telephone pole, and the electric wires were draped, exposed, on insulators attached to the arm. I don’t know why they fascinated me so, but I loved to sit at the living room window and stare at them. Those streetlights survived into the 1970’s when they were replaced by equally unadorned arms supporting a sodium-vapor cobra head. I was very disappointed.